You can browse events with our completely free and easy to use search engine or you could just click on the map to find your local area. 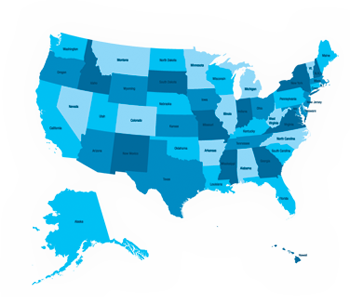 This will give you unlimited access to all of the events listings in your zip code that are appropriate for you and your needs. We can also personalize the search if you submit details about the dates you need, the category of listing, the exact location and then we're sure to get you on the right track. There are unlimited searches available, so you can take your time picking exactly the right listing from the sparkling array of events we have featured on the ChooseYourEvent website... we feel sure that you will find so many favorites that your only problem will be finding the time to visit all these exciting destinations. Do you want to get your event 'out there' and noticed by your target audience? ChooseYourEvent already has a huge and varied database packed with interesting and exciting events, but we always have room for more. 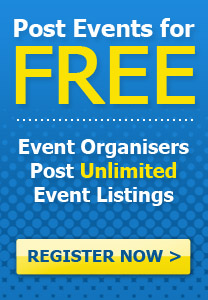 You can register with our popular Events Guide for FREE - how often in life do you get something for free? This is an offer that can't be missed. We'd love to help you attract visitors to your event, all we ask is that you fill in the simple form on the 'Add an event' tab with all the relevant information such as event type, zip code etc., making sure to include the times and dates and write a brief description publicizing your fabulous event. Our editorial team then approves your listing and the process is complete. Your event will then be live on the website and available for everyone to view and visit. Simple as! Get yourself listed and get yourself on the map!